Advantages: Comprehensive detailed photographs and drawings. 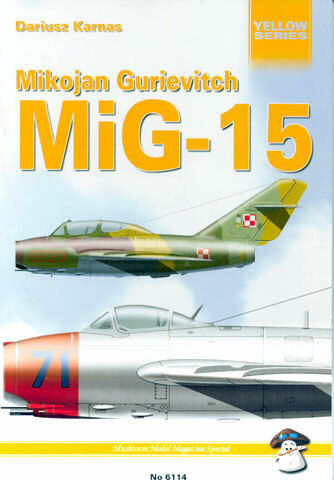 Amongst the latest books from Mushroom Models Publications is Dariusz Karnas’ “Mikojan Gurievitch MiG-15”. This book is a true modeller’s reference, covering all aspects of the MiG-15 from production to service use in a concise and accessible way. The first 48 pages provide the main text, with the development history addressed, followed by a summary of all the developmental and serial production variations. The text description is well supported with line diagrams and photographs to highlight the many changes made over the production run of Russia’s first massed produced jet fighter. Details of both Russian and licence production in Poland, Czechoslovakia and China, where unique variations occurred, are also provided. Amongst many tables in the book covering production lots, factories and modifications is the table on Page 47 perhaps one of the most interesting aspects of the whole book. 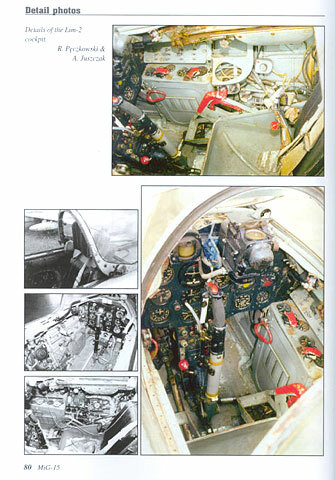 In this table the author provides details of the top Russian MiG-15 aces of the Korean war, with a breakdown of kills, awards and where known, their fate. The real value of this book though is the fifty odd pages of detailed photographs and technical drawings. From fuselage to wings, tail, cockpit and armament nothing is ignored. For anyone who plans to build a MiG-15 in scale form, and there have been many choices released in recent years, this book is an essential source of reference. It should be noted however that many of the detail photos are of preserved Polish Lim produced airframes, and while it is unlikely that there was much variation from Russian production there is the small chance that subtle changes may be overlooked. Completing the book is a selection of 46 colour profiles which in itself highlights the widespread employment of the MiG-15 around the world. From Algeria to Cuba to Tanzania, the MiG-15 has been used both by many client states of the Former Soviet Union and a few countries which could otherwise not afford more advanced equipment. Overall, this book will serve the modeller well, providing an almost complete one stop reference for the MiG-15. 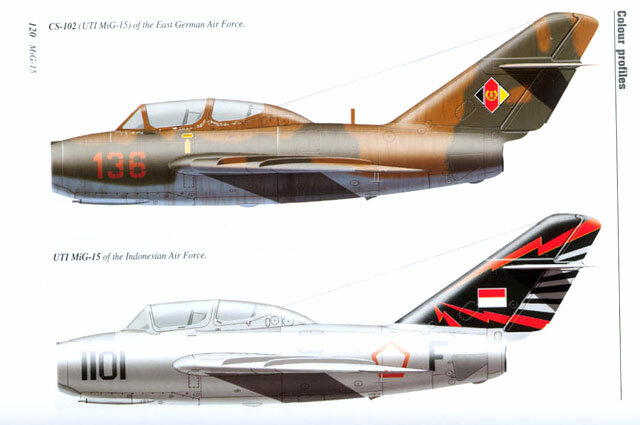 Whilst the MiG-15 is best remembered for its role in the Korean War, this book will provide inspiration for a more unusual model, perhaps an Indonesian UTI or a Syrian MiG-15bis.